Free printable have become a favorite amongst crafters of all kinds. That’s because printable paper crafts make it easier to create and decorate than making something from scratch. 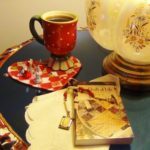 Many free printables look so professional and expensive that people do not believe they are free. 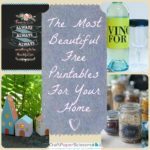 However, in this list, 13 of the Most Beautiful Free Printables for Your Home, us editors at AllFreePaperCrafts will provide hard proof that you can find the most gorgeous paper decorations without the hefty price tag. Find the three different categories below that will help you turn your house into a home with the click of a button. Why not decorate your walls with the most beautiful free printable wall art? These free printables seriously look like they should be displayed at an art show. It’s not the case because these artists have created them for printing at home (or bigger versions at a copy shop). Find inspiration everywhere you look when you put up this pretty wall art, either tacked up or framed for an even classier look. Now that you have your walls decorated, print out some beautiful paper flowers, fruit for your fruit bowl, or even tea light lanterns that look like little houses. These pieces of printable table art are too good to be true – yet they are! We even have an added bonus, so take a look below. BONUS! You will find the Paper Mums Wedding Bouquet and so many more beautiful printable paper crafts in our AMAZING free eBook, 16 Free Printables: Free Printable Greeting Cards and Other Printable Paper Crafts. Find full step-by-step tutorials with pictures in a printable format. You can’t beat this collection! Get organized with these free printable labels for jars, boxes, and even wine bottles. These can be printed out, written on, and stuck to anything in your home. Some of these even allow you to edit the text on the computer so you don’t even need good handwriting! These free printables are a fantastic way to keep your kitchen and home office looking sharp and structured, with little effort. Win-win! If you can’t get enough free printable projects, then you will love Get Printing! 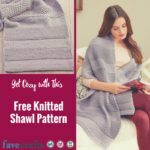 17 Absolutely Fabulous Free Printables. Finding construction paper crafts for kids and adults can be pretty tricky since it seems that construction paper isn’t as “trendy” as it used to be. However, I refuse to let one of the cheapest and most versatile crafting materials die. If you are a paper crafting junkie, there’s no reason for you not to absolutely LOVE this useful paper, and once you see all these ways to use construction paper, you’ll see why! If you want to venture outside of constantly making paper flowers or using up all of your tissue paper, this crafting material is going to be your new best friend! 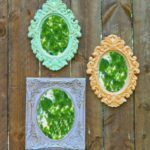 Construction paper is quickly losing popularity, which means there aren’t many construction paper crafts circling around on the web; I think these 7 ways to use construction paper out to be considered precious and unique. Each one uses construction paper in a way that is fun, simple, and inspiring. Plus, they come in real handy when crafting with kids because they are budget-friendly and can be made in just thirty minutes! When the evergreens are the only plants that appear to be alive and the sun goes down earlier in the day, it can feel gloomy if you don’t have a good paper craft to help you pass the time indoors. You can capture light and warmth with these Cozy Paper DIY Lanterns. This Paper Plate Lion is perfect for Fine Motor Skills development. Make your child color the paper plate provided by us and tear strips of construction paper to form the mane. Here are step by step instructions on how to make this simple but pretty heart garland. That’s one cute chick! When you and your little ones are crafting, there’s no better place to start than with this Handprint Art Chick. Having your children help you decorate is a great way to get them in on the fun, and when it comes to ideas, this Precious Paper Bunny Garland is the perfect craft for kids! Thanks to the free printable template included with this project, all your kiddos have to do is cut out these little rabbits and create an adorable decoration. Add a little touch of whimsy to your homemade gift wrapping with these Simple Sprinkle Paper Bows. Paper crafts like these that are both easy and elegant are a must for any busy crafter; after all, why sacrifice style just because you’re short on time? Not only is this Paper Snowflake Party Backdrop a great addition to your decorations, it is also perfect for a DIY Frozen party. You will be surprised by just how easy it is to make this awesome backdrop. 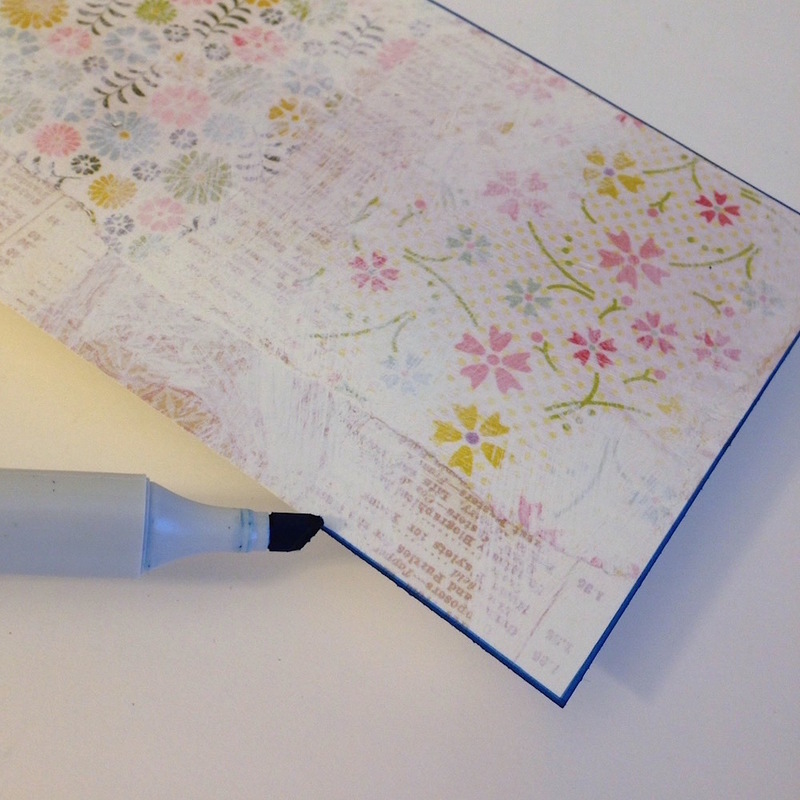 What is your favorite kind of craft paper to use? Tell us below! Adult coloring pages do not have to be extra fancy or all about intricate, teeny tiny mandala designs that belong on gallery walls. 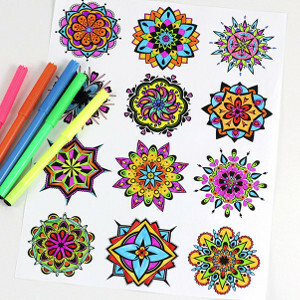 While adult coloring sheets might be a bit more complicated, they can still be fun! 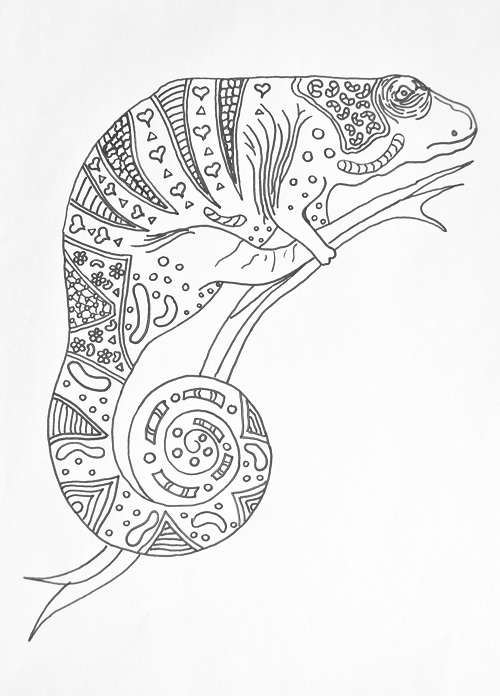 This is why we adore this Charming Chameleon coloring page! Featuring a funky little lizard, this downloadable PDF is the perfect half-hour project for any crafter or any crafting level. Whether you want to shade in this little guy in bright and bold colors or stay subdued with light greens and blues, this chameleon will convert his colors to your mood! Print this coloring page download immediately and save the PDF for later. While this coloring book page was designed especially for adults to shade in, it is an excellent page for older elementary school kids and teens, as well. Teachers looking to teach their kids all about reptiles can download this free coloring book sheet as a take-home assignment or quiet time activity. *Need help printing out this coloring book page or any other of the downloadable coloring sheets we have? Check out our full tutorial on How to Print Coloring Book Pages! Chameleons are reptiles and part of the iguana family – they’re just smaller! The smallest chameleon grows to only half an inch long and is the smallest vertebrate alive! It is a misconception that chameleons change their color to fit their surroundings. They change their colors in response to their moods and emotions! They have special toes that help them cling onto tree branches and other surroundings. Unlike many other lizards and reptiles, chameleons do not lay eggs. They give live births! Which type of adult coloring pages do you prefer: quirky animals or intricate designs? These cakes look good enough to eat! Obviously, we won’t be eating them, but don’t pretend like you’re not getting hungry just looking at this picture. 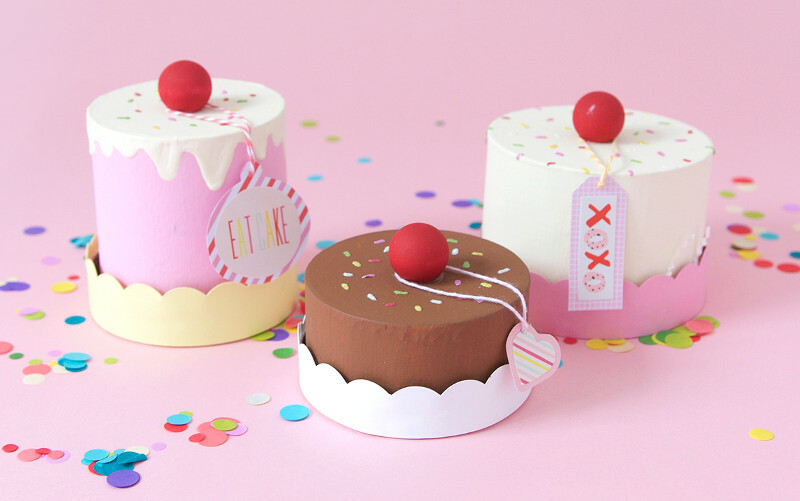 This project for an Easy DIY Paper Mache Cake Box teaches you how to create the most delectable and gorgeous looking cakes you’ve ever seen! And all with some paper and paint! You can make these cakes in almost any size or color you want. You’re the creative genius here! It’s really all up to you. These cakes make wonderful gifts, and they could even be used as centerpieces for parties! Can you imagine a baby shower or wedding shower with these adorable little cuties placed in the center of each table? I know, it’s almost too cute to handle. So gather up the supplies, and maybe a few friends, and create your own little cake today! Love it yet? 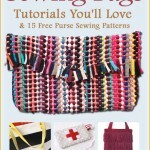 Find Instructions at Damask Love! Let us know—what’s your favorite way to craft with paper? Writing letters is such a lost art form. Now, the only paper mail I ever get are bills. And that’s just no fun. 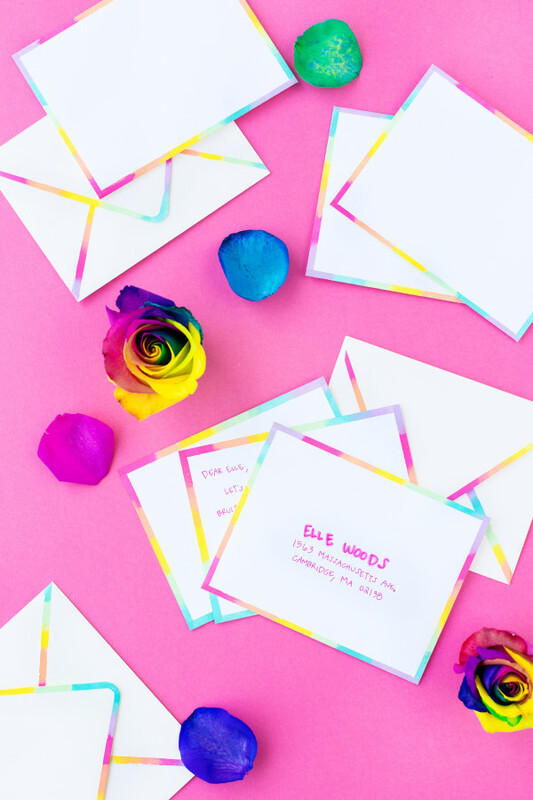 That’s why this DIY Rainbow Edge Stationery has me really excited to write letters again! I can’t wait to show off this super cute stationery design – and I’m so excited that I can make my own stationery at home instead of buying it! Love it yet? Find Instructions at Studio DIY! Let us know—what are your favorite ways to craft with paper? 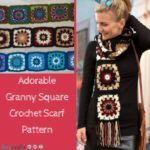 This is one crafty project that you never thought you needed… and that you won’t be able to live without. 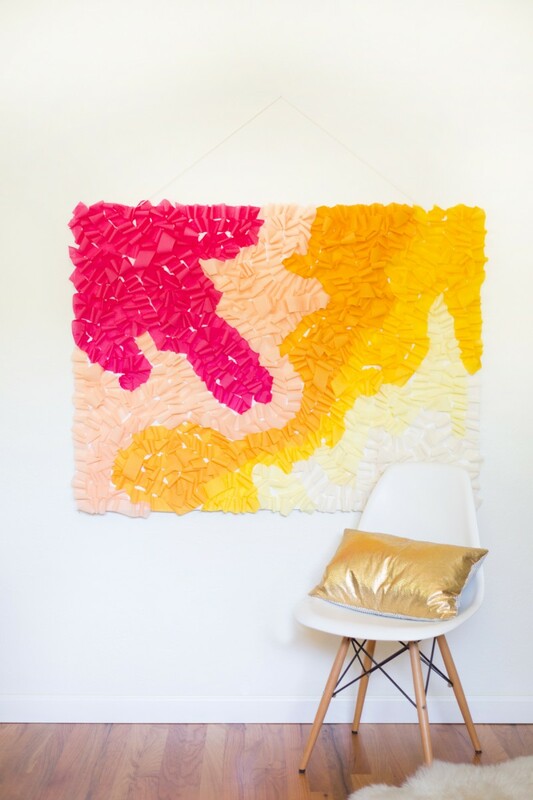 This DIY Ombre Ruffled Crepe Paper Photo Backdrop brings a burst of bright color and fun into any room. Get ready to strike a pose! Yes, this photo backdrop makes for the best pictures (anyone want to take a selfie?). But it also is just a great decorative piece! 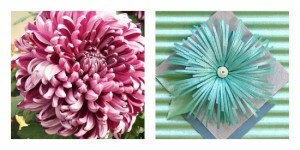 Customize this project with your favorite colors, and you can hang it on the wall at any type of party. It would make an adorable backdrop for a wedding shower or a baby shower. It also just makes a really fun piece of home decor. So, the real question is, why haven’t you made this project yet? Love it yet? Find Instructions at Lovely Indeed! 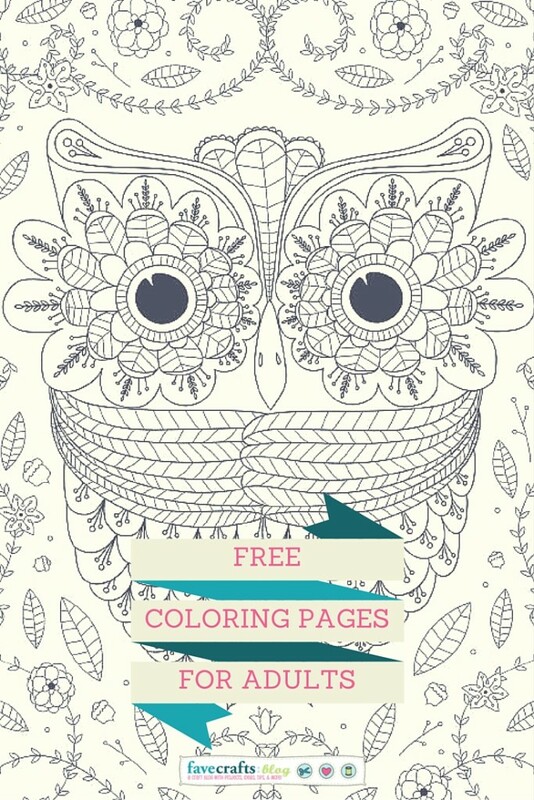 Now is the time to relive the glory days and get back into coloring. Not only is it a fun activity, but recent studies have shown that adult coloring books are actually good for you. Taking time out of your day to spend coloring is actually a form of art therapy. It can be a great way to relax, refocus, and reflect on the day, while enjoying a calming and therapeutic activity. So not only will you be dedicating time to improve your coloring skills, you’ll also be taking time to improve your mental health. You can read more about some of the therapeutic benefits to coloring over at FaveCrafts! Now that you’re aware of both the creative and health benefits of coloring books, what are you waiting for? It’s time to get started and the sooner the better. We’ve rounded up our favorite free coloring pages for adults, and we know you’re going to love them. From animals and houses to intricate designs, we’ve got something for everyone. So gather up your markers, your crayons, your colored pencils, and color your heart out! Comment below and let us know, what’s your favorite coloring utensil? We love personalized journals. There’s something so appealing in making the outside of your journal as special as the inside. This is an easy paper craft tutorial that shows you some fun paper crafting techniques to help you customize any journal. Why not turn the “Plain Jane” journal into a completely unique craft project that showcases your creativity? 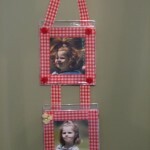 This is also a great craft idea for kids because it shows you how to alter the basic journal without spending big bucks. It’s the perfect back to school craft! Once you have written, sketched, embellished, and painted all the pages in your beloved art journal, it’s now time to alter the cover to make it your own. 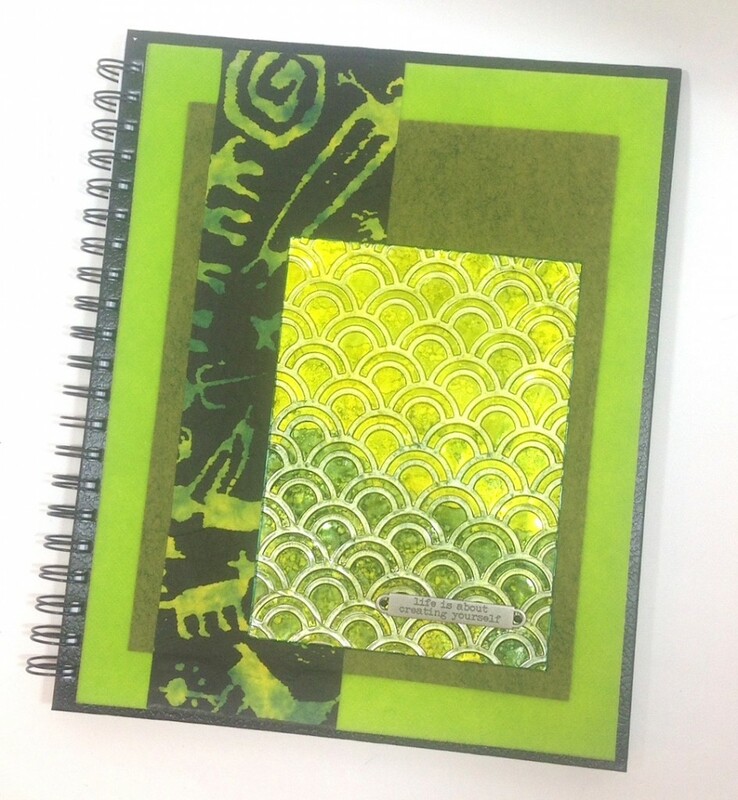 Give your journal a beautifully textured and layered cover using sheets of fabric, interfacing, paper, and metal — it’s quick and easy to put together. Your coffee table will thank you for it! 1. Emboss the craft foil and trim it to the desired size. 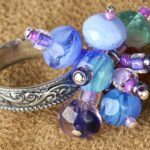 Rub a base coat of a light-colored alcohol ink over the top, then blend additional colors on top, using a pouncing motion with the applicator. 2. 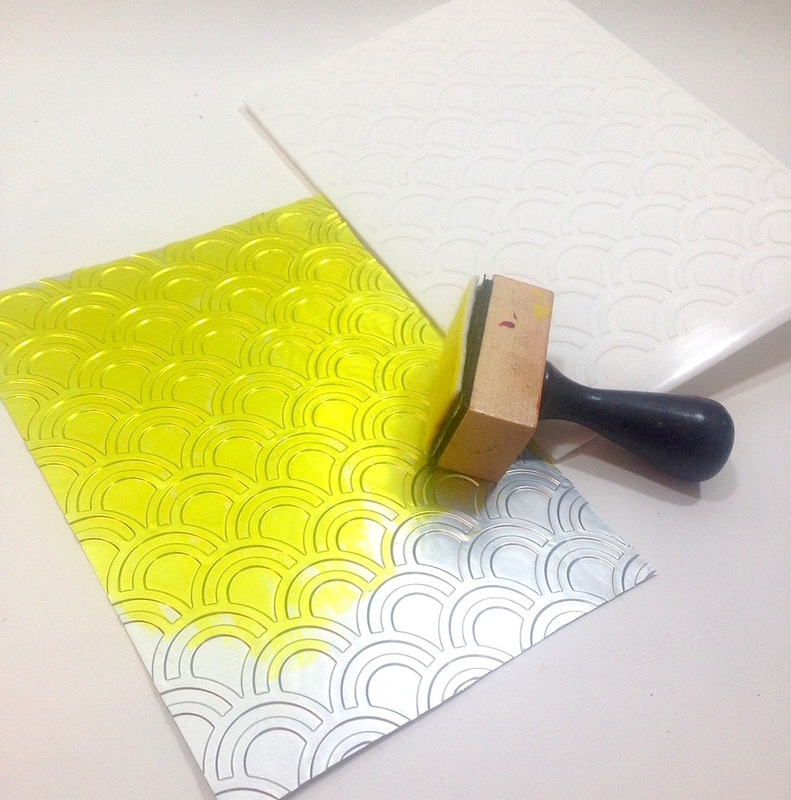 Gently sand the inked foil to expose some of the silver on the raised areas. This technique distresses the surface but it also enhances the embossed pattern. Ink the edges with a marker and set aside. 3. Iron the fabric to the fusible side of the stiff interfacing and trim to a size that’s slightly smaller than your journal cover. 4. Trim the felt and handmade paper to desired sizes and play with the arrangement of the layers until you like the result. 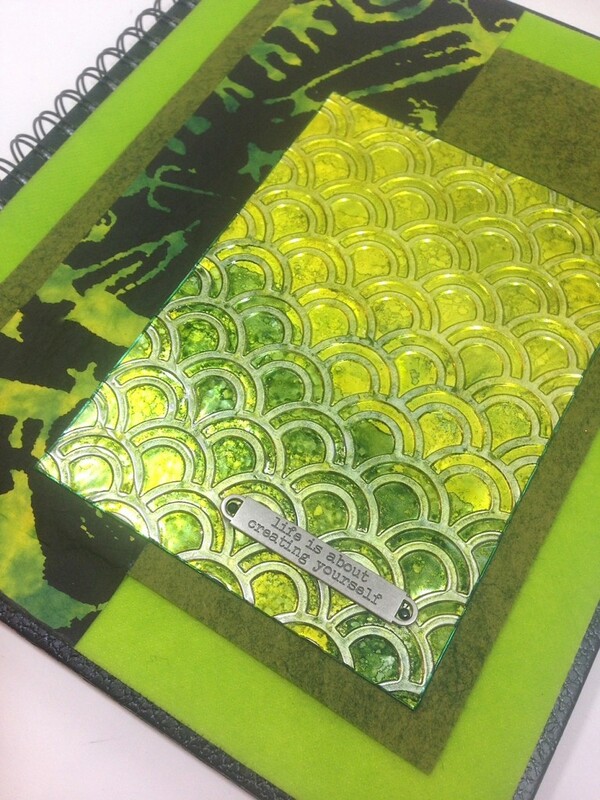 Glue each layer down in sequence, then glue the embossed foil panel on top. 5. Add whatever sentiments or additional embellishments you like. 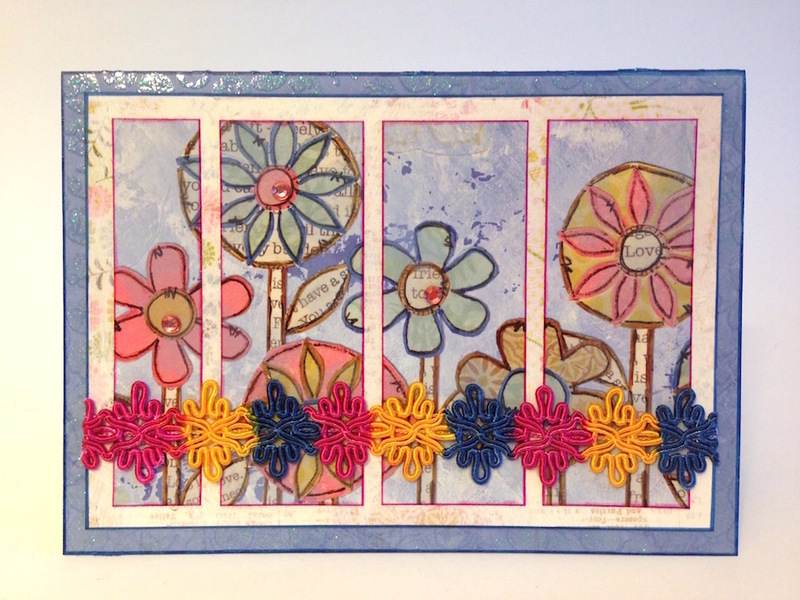 I love using a set of coordinated papers to make handmade greeting cards. Everything works together beautifully, from the darks to the lights to the pretty patterns. Adding a touch of bling certainly adds extra interest to the flat cardstock, but I want to add even more personality and dimension to my DIY cards. Ribbons and washi tape are lovely, but what I really love using are decorative trims – the kind for sewing! 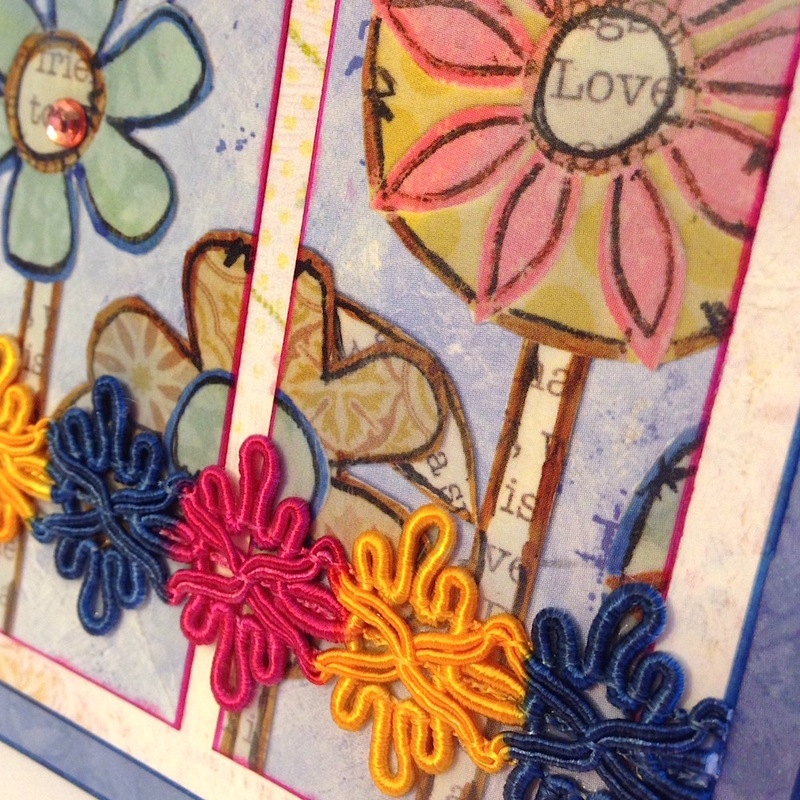 Decorative trims come in so many different designs and they really make your homemade cards pop with frolic and fun! 1. 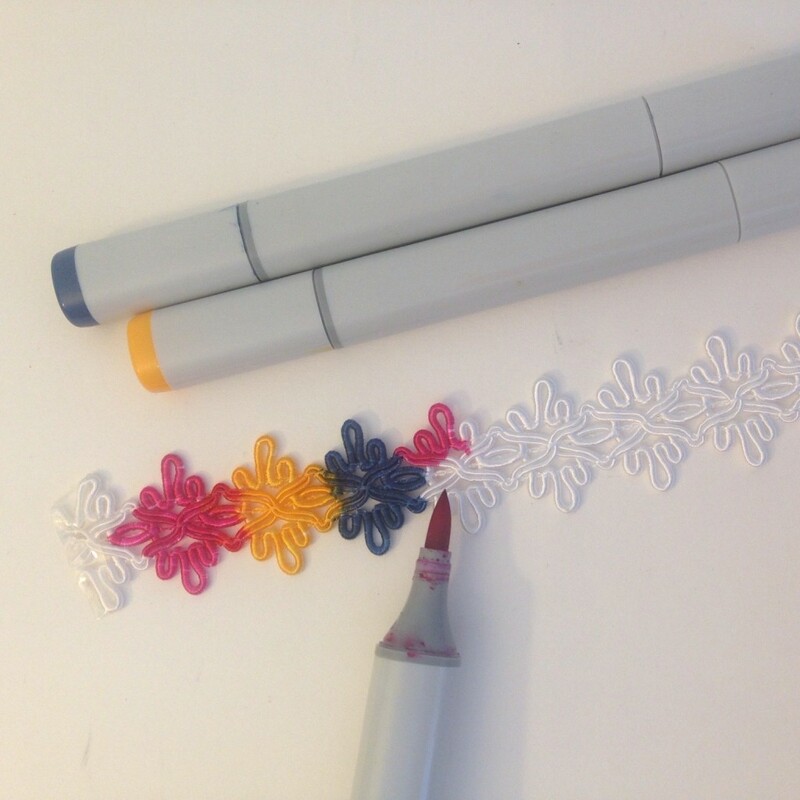 Color a 6.5″ length of white embroidered trim with markers – just tap the color on without rubbing the delicate threads too much. 2. Ink the edges of the background panel with a marker. I really like how each layer of cardstock stands out when you ink the edges. 3. 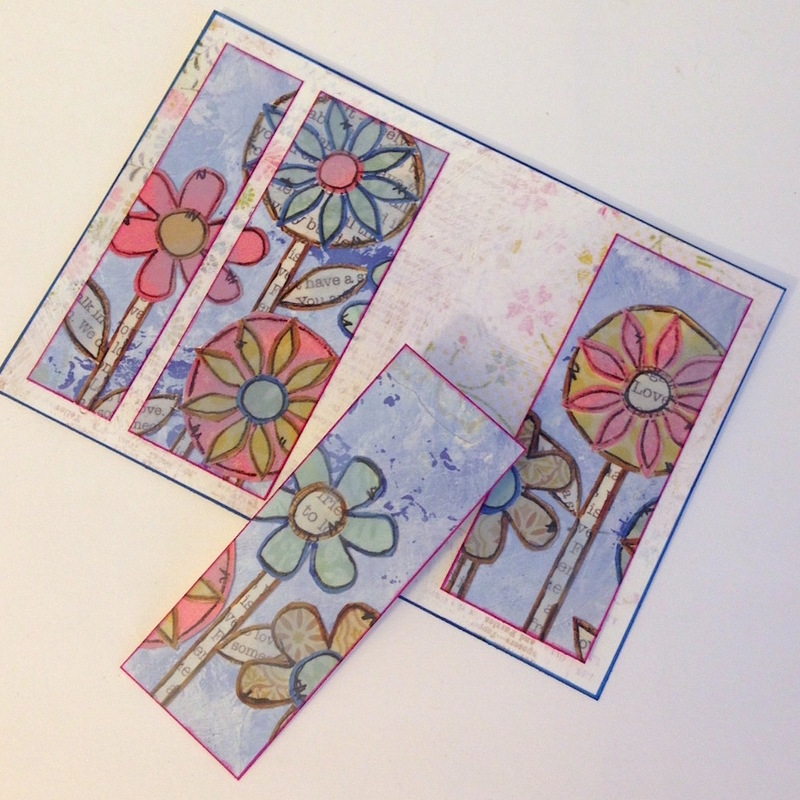 Slice the patterned panel into 4 strips (even or varied widths) and ink the edges. Glue them like windowpanes (with space in-between) to the background panel, working from the outside in toward the center for even spacing. 4. 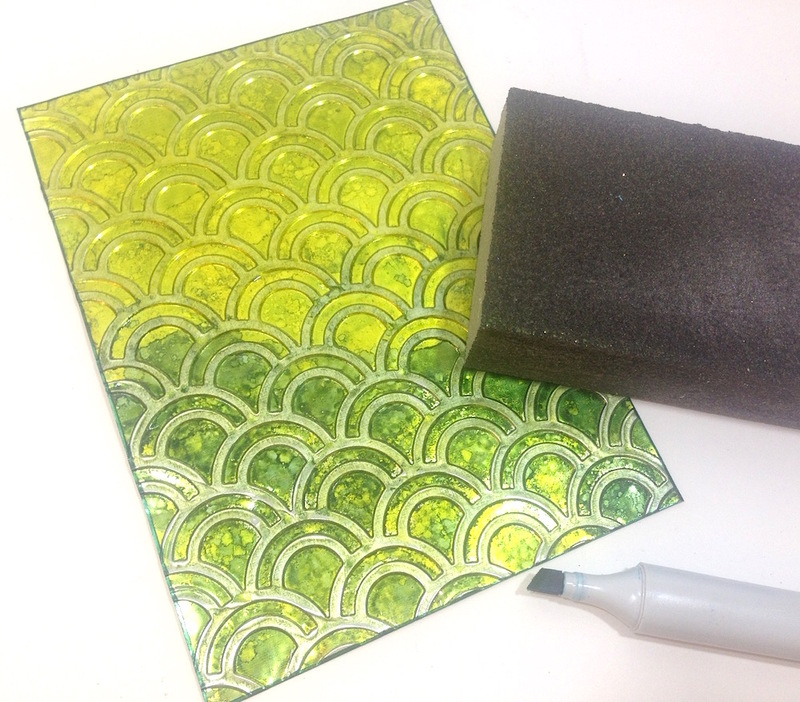 Use clear gel glue to adhere the trim to the front of the card panel. Dab a bit of glue along the edges to prevent unraveling. 5. Adhere the embellished panel to the folded card, add a few rhinestones in the flowers and you’re done! 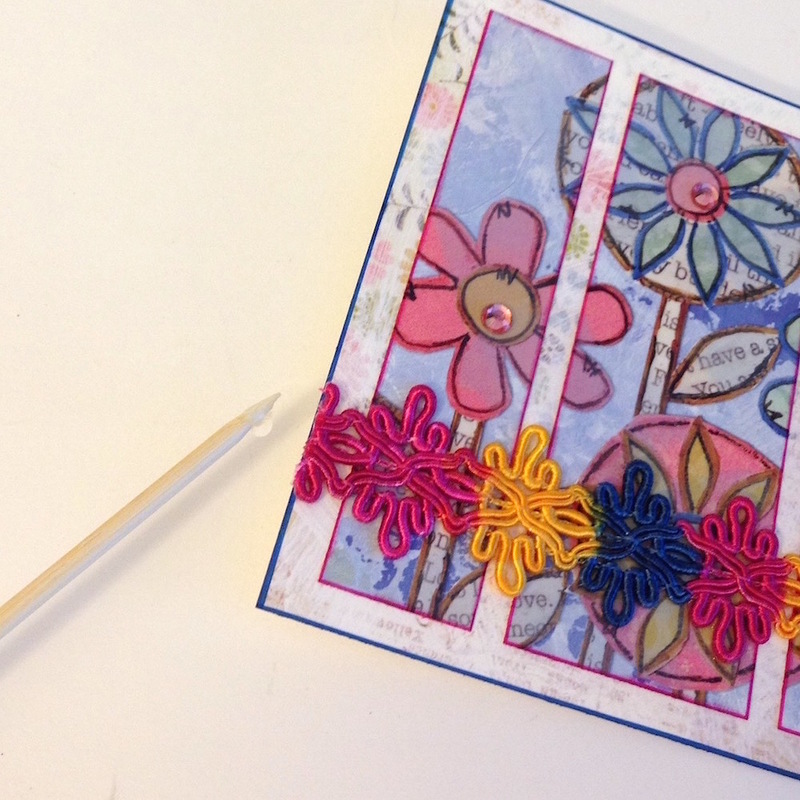 What do you use to embellish your handmade cards? I used to just brush off paper flower crafts like they were just something to use scraps for, but these fun paper crafts have become a new way of saving money and putting a personalized touch to any home or decor. You mostly see paper flower bouquets for weddings and center pieces on Pinterest, but they can be for more than just weddings! These delicate paper flowers will look great in your home as some colorful accents with any pattern or color of your choosing. I know it’s a little difficult to craft with paper without it looking like a five year old’s room (trust me, that’s how my room currently looks), so that’s why I picked out the most adult-looking flowers—and by that I mean they look like actual flowers. I think the comparison is a little uncanny sometimes. Don’t get me wrong, I love fresh flowers as much as the next person, but buying them bi-monthly gets so expensive, and I don’t exactly have an expansive garden where I can just pick and propagate bushes and clusters of perennials. These are a way to do some cheap decorating, but still get a sophisticated look. Thrifty crafting to decorate and cut corners is awesome, but we don’t want our living rooms to look like the craft room threw-up. Although I love using vintage book crafts, the English major in me still cringes when I think of tearing out book pages and cutting it up. 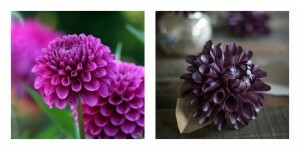 For these easy crafts, you can use every paper flower color of the spectrum or recycle old books to make unique patterned flowers. Unlike real flowers, you aren’t limited to the laws of nature. If you want black or blue roses, you can simply just pick out the paper. 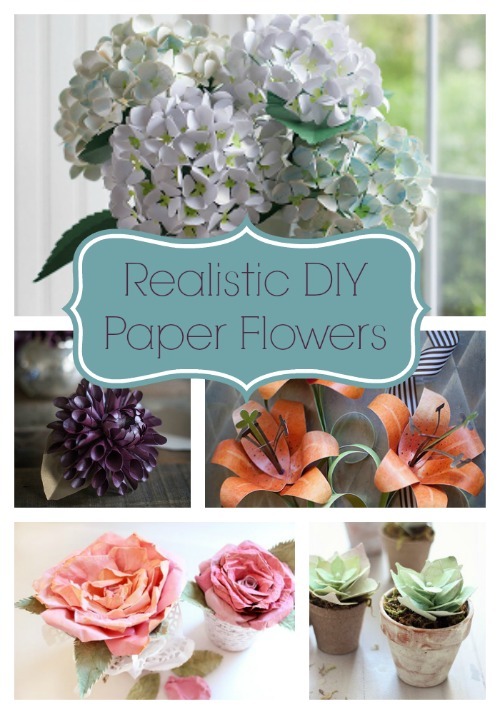 What you decide to do with them, you’re sure to love these super realistic paper flowers. Just for comparison purposes, a picture of the *real deal* is on the left, while the craft is on the right. So having the petals quilled gives the craft a little more texture, even if it doesn’t look exactly like the real thing. 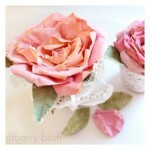 It’s a little reminiscent of the Art Deco era, so these would make great Gatsby party decorations. 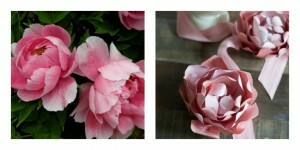 These look just as delicate as the actual peonies. Clusters of these to make a bouquet would be beautiful. 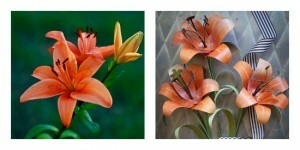 These meticulous flowers look great in the metallic paper, and they look just like the flower. Speckled with black, the bright orange paper is a sleek flower paper craft. 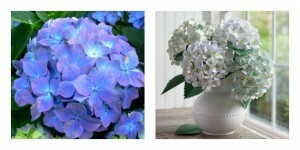 Hydrangeas are my absolute favorite, so this paper flower craft look incredible compared to the real thing. Can you see the difference? Despite the colors, these single-roses include the leaves and the blossoming petals. Well, I guess Mulberry Roses aren’t real—or at least I couldn’t find any pictures of real ones, but they’re still just as cute! 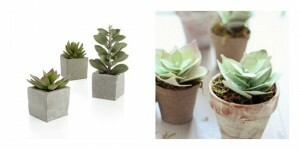 These are a simple way to get the rustic succulent decor going. Even though succulents are a very low maintenance plant, these paper crafts have absolutely no maintenance whatsoever. 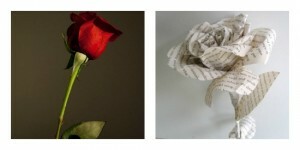 Which paper flowers surprised you the most on the similarities?